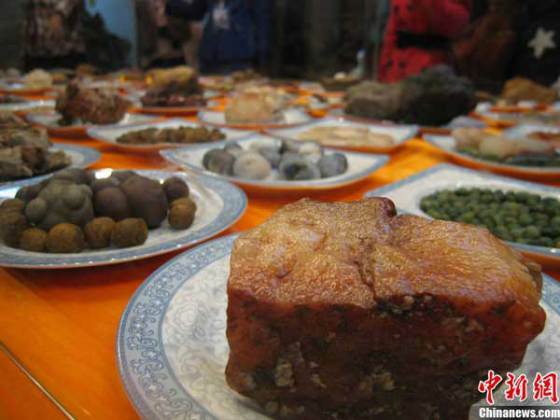 You can't fault the “cooks” at the Stone Museum in Liuzhou (located in southern China's Guangxi Zhuang Autonomous Region) for laying out a mouth-watering spread. Don't try to sneak a snack, however, unless you've got plenty of dental insurance. Petrified pasta, stone-ground rolls and slabs of well-marbled beef – made of real marble – were specially selected by museum staff and artistically arranged on ceramic platters. Don't bother bringing a knife; to cut this calcified cuisine you'll need a hacksaw. And you thought your spouse's dinners were tough to swallow! Alas, this mineral-rich buffet was merely a feast for the eyes, not the palate. 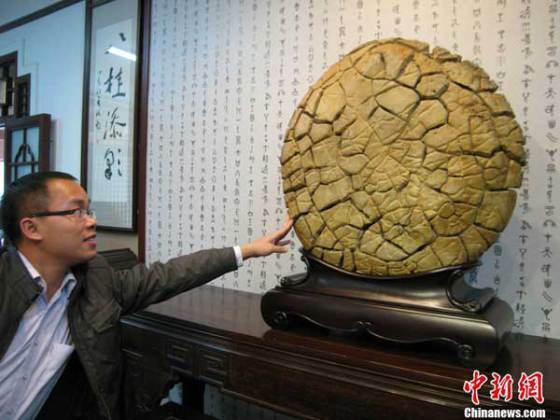 The region around Liuzhou has long been famed for its beautiful and bizarre stones, and the annual International Fantastic Stone Festival provides an innovative way for the city's Stone Museum to flaunt their stock. 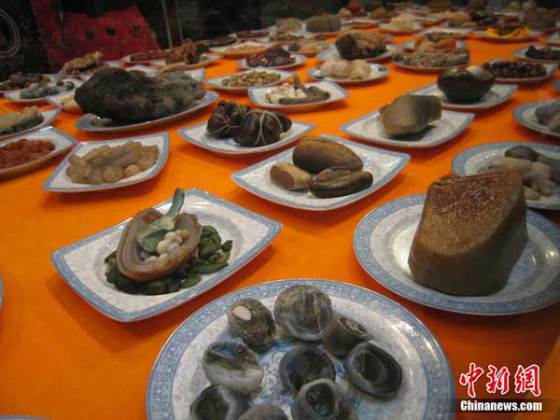 Liuzhou is known as “the capital of peculiar stones” and this ancient city of 4 million is home to an estimated 100,000 amateur rockhounds and stone aficionados. The Liuzhou International Fantastic Stone Festival may not exactly be a rock concert but like Bob Dylan says, "Everybody must get stoned!"